Novistretch, Harley Davidson Saddle Bag Cover, Fits All Harley Davidson Hard Bag Lids, Easy on, Easy..
INCREASE YOUR SPACE AND PROTECT YOUR BAG LIDS ALL IN ONE EASY INSTALLATION..
Super 8 Inch ABS Touring Trunk Pack With Lock and Keys, Give Your BAGGER a Custom Look With These Ch.. 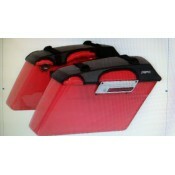 FACTORY PRODUCTS SADDLEBAG HARDWARE LATCH KIT FOR 2 BAGS.... EVERYTHING YOU NEED TO PUT YOUR LI.. 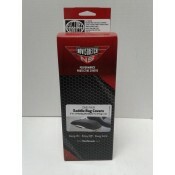 FACTORY PRODUCTS RUBBER SEAL FOR HD SADDLEBAG LIDS..... WEATHER STRIP.. FACTORY PRODUCTS BATWING FAIRING SUPPORT BRACKET REPAIR KIT SOLD AS A KIT..
BAGGER ANTENNA /ULTRA CLASSIC OR FLHXFITS 86-2015.. Factory Products Saddlebag Speaker Lids For Harley Electra Tour Glide Road King 94-13 Lid.. Factory Products Tour Pack Lock Kit2 Keys, 1 Lock and Mounting Hardware .. Factory Products Tour Pack Latch KitComes With Chrome Plated Clasps and '97-'13 Mounting hardware.. Factory Products Saddlebag Rubber Replacement KitFits '84-2013.. Factory Products Saddlebag Hardware Replacement KitFits 2014 & Later Lids.. Factory Products Saddle Bag Lock Set for '97-'132 Locks Chrome Plated..
'97-'13 SADDLE BAG SINGLE LOCK ...1 KEY, 1 LOCK....CHROME PLATED..
NOVISTRETCH FAIRING MASKPROVIDES HIGH QUALITY PAINT PROTECTION FOR BATWING FAIRINGS ..